I am Rakosi Matyas, the leader of the Hungarian eCommunist Party. I'm playing a role playing game, so my character is a communist person, and the leader of his movement. We had some international connection with the ecommunist groups all over the eworld (we were the members of the Internationale), but it was long time ago. I wanted to make a military unit, which only would fight in the red side of the resistance wars (and on the other hand, the members of this MU could get the mercenary [international!] medal at the same time), but the DO-rule doesn't let to do this. I saw your movement in vasmegye's post, and I found your intentions good, so I want to help your business form Hungary, and want to learn from you, how to make an anti-imperialistic movement, and want to join you, if this movement is international. Hello Rakosi Matyas... and welcome ! First of all, your english is excellent. A.I.M. 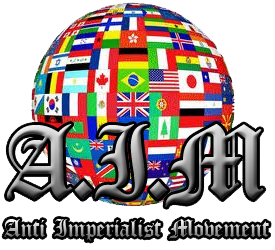 seeks to fight imperialism internationally. We started out in Switzerland and we are working on A.I.M. parties and MUs in Australia, eUSA, England, Chile and some others. we won't stop until we have parties in all countries. Your offer to work with us is great. Hungary is a perfect place for an A.I.M. party and MU. We will help you establish this in any way we can.